Desi Ghee bedami pooris with super hot ‘n spicy aloo that set my tongue on fire, made the traditional way – super enjoyable till the time u start thinking calories. Address & other details: Take a rickshaw from chandni chowk metro station to Maliwada on the main Chandni chowk road (after u cross parathe wali gali if walking towards Fatehpuri masjid). 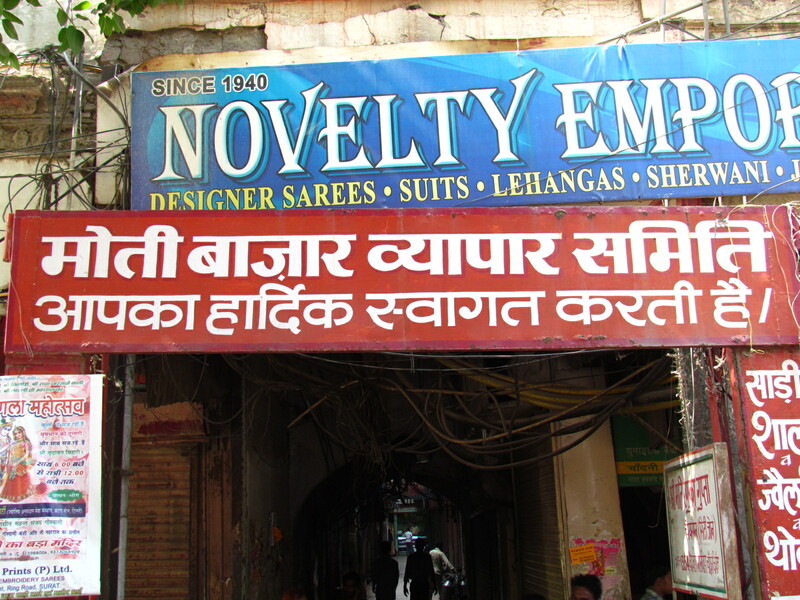 Enter the lane that has a board saying ‘ Moti Bazar vyapar samiti aapka hardik swagat karta hai’. As u hit the T point, turn right & u reach this shop to ur left. 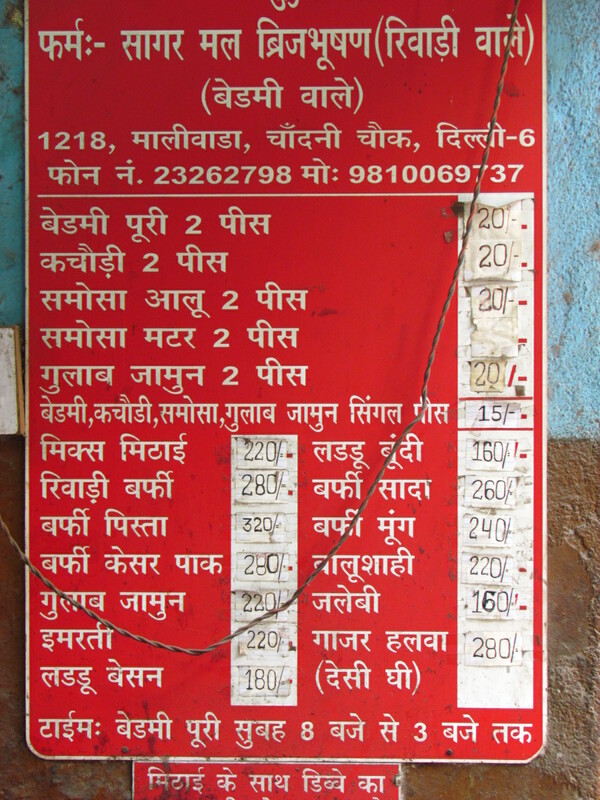 the board that u shud watch out for…………..
We went in the morning to Chandni Chowk all the way from Gurgaon to eat breakfast & my vegetarian friend who happens to be a Chandni Chowk pro joined us. We reached the shop at 9.00 am to see 7 -8 people inside the shop standing & eating off a wooden plank protruding from the wall. Another approx. 10 – 12 people were waiting to get stuff packed. Many had got containers from home to get the stuff packed. 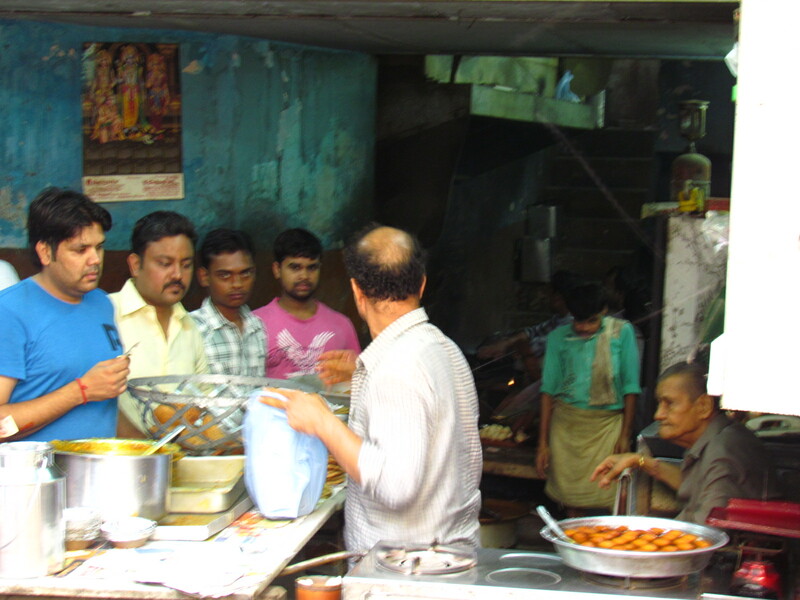 We also saw people getting kaccha bedami poori packed – All ready, just has to b taken home & fried. 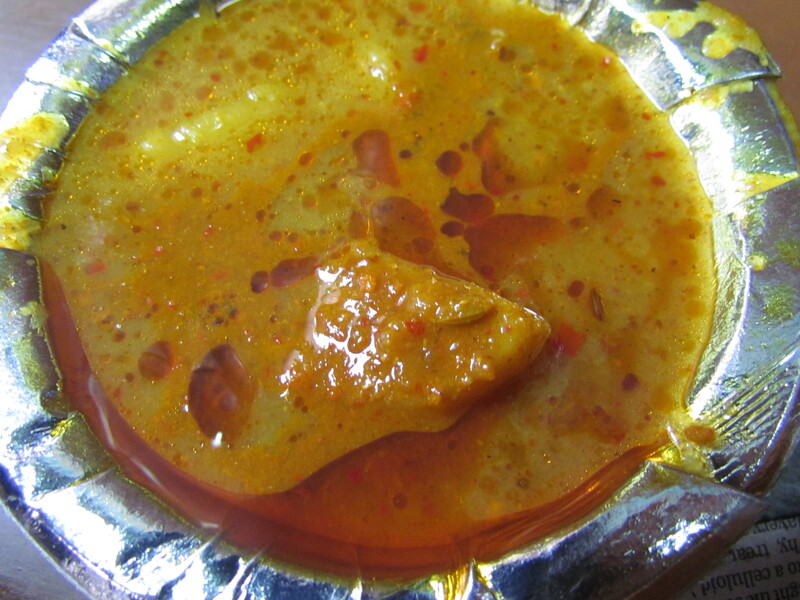 My friend warned me that ‘as soon as u eat this, u will start sweating.’ I said ‘good joke’. All food made in this shop are with pure desi ghee, we were told. 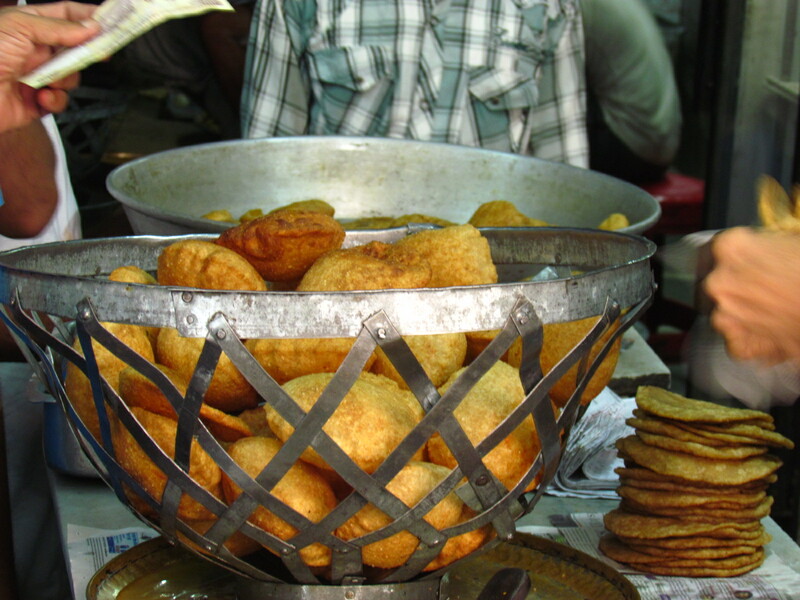 The bedami poori was enjoyably crispy but not too crispy. 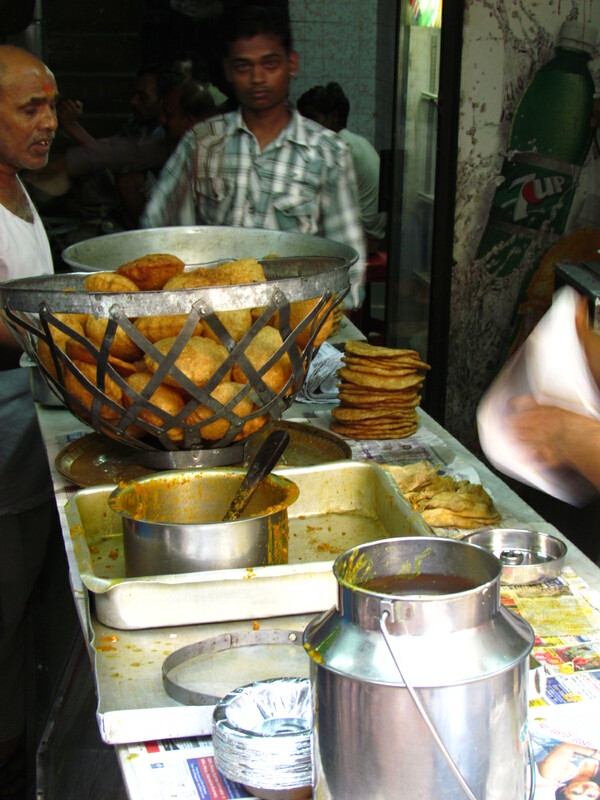 The flavours of daal in the Bedami poori was much higher here than at Shiv Mishthan Bhandar & of course it was better than bedami poori at Bikanervala, Gulab & OM sweets. The aloo ki subzi was topped up with a ‘methi ki chutney’ while serving – that made the aloo super duper spicy & very hot & my friend’s warning came true like a Prophecy. I started sweating profusely & enjoying the taste at the same time. Taste of the super hot aloo was really very good. 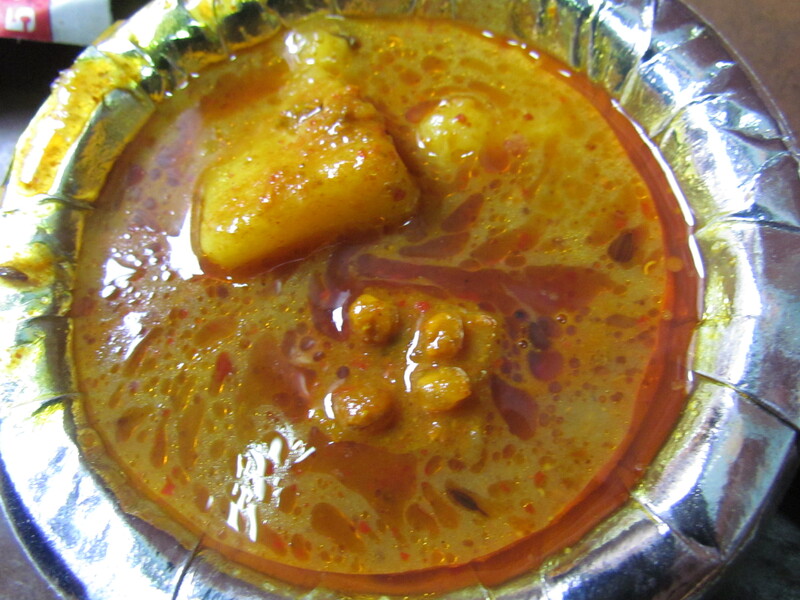 Unlike the aloo ki subzi served with bedami poori at Gulab & Bikanervala, Gurgaon, the ones served here didn’t have a sour tinge. 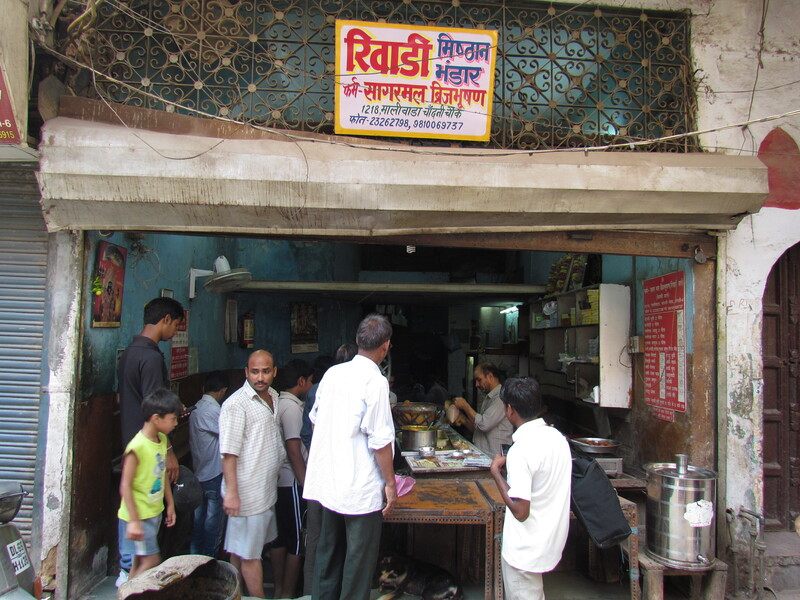 Overall – If u cannot take in spicy food, pls avoid this place. However, if u love hot’ n spicy food, do not miss this out. My mouth is watering! Is this the only thing that they sell? 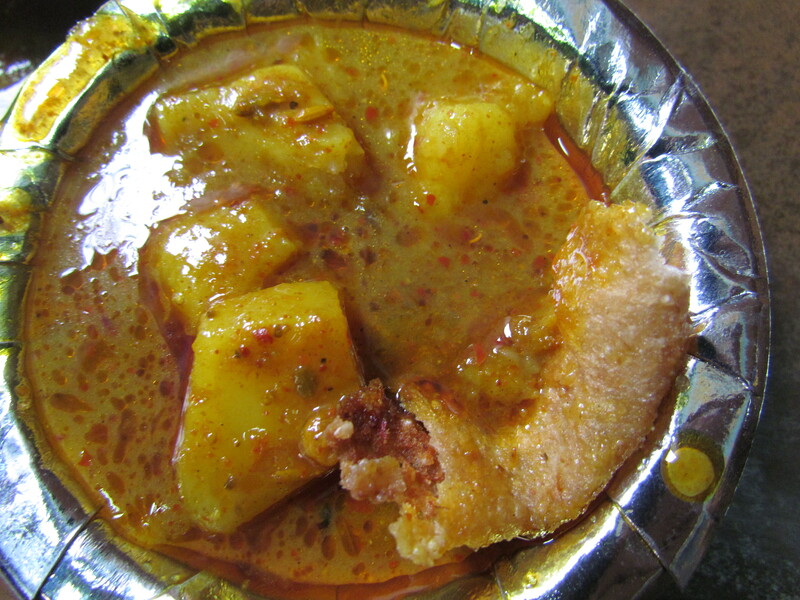 Is bedami puri like daal puri? 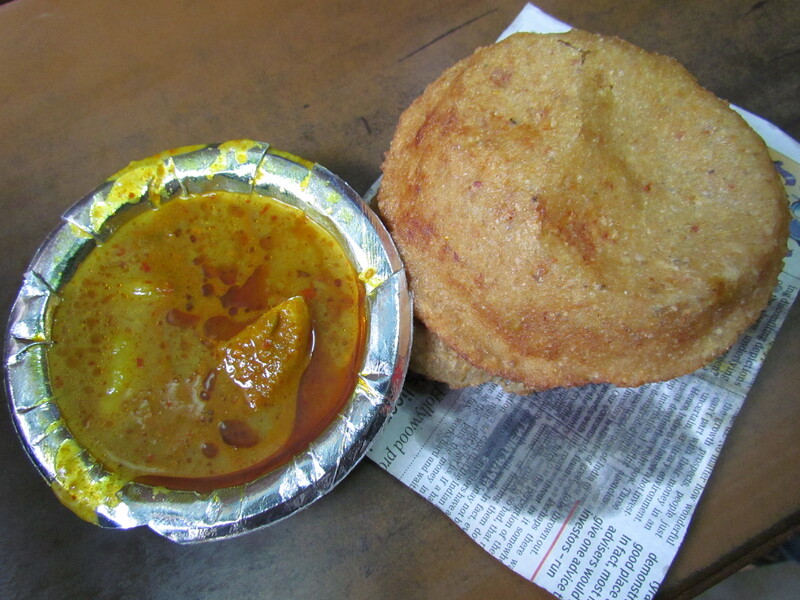 Yes, Bedami poori has a daal filling but id different in taste & flavor from the Kolkata daal poori.